Yale University Press, 9780300206357, 112pp. In this darkly comic exploration of loss, intimacy, and motherhood, three women are joined by a baby who never lived. Morgan, in her middle years, is the grieving mother of a stillborn child. Elena, the failed midwife, burdened by guilt, is considering a career change. Dolores, eighteen, is pregnant with a baby she does not want. Meanwhile, Constantinople, the child who wasn’t meant to be, wanders lost in search of his mother, trying to make sense of the world while making an unlikely appearance in each woman’s personal drama. 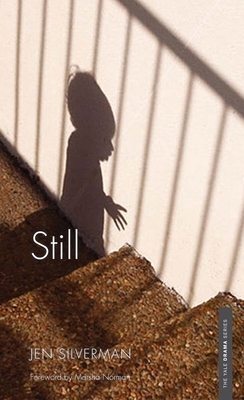 Poignant, lyrical, ingeniously absurd, and outrageously funny, Jen Silverman’s Still is a brave and remarkable exploration of grief and family. It is the seventh winner of the DC Horn Foundation/Yale Drama Series Prize, selected this year by Marsha Norman, the Pulitzer Prize–winning author of Getting Out; ’night, Mother; and other acclaimed theatrical works. Jen Silverman recently held a Lila Acheson Wallace fellowship at Juilliard. Previously produced plays include Crane Story and Phoebe in Winter. Her play All the Roads Home was selected for the 2013 Playwrights Conference at the Eugene O’Neill Theater Center in Waterford, CT. In addition, she writes poetry and fiction, and has been published in Ploughshares and the LA Review. She lives in Astoria, NY.